Guns being sold to just anybody nowadays is very rampant to the point the shootings and killings happen just everywhere. 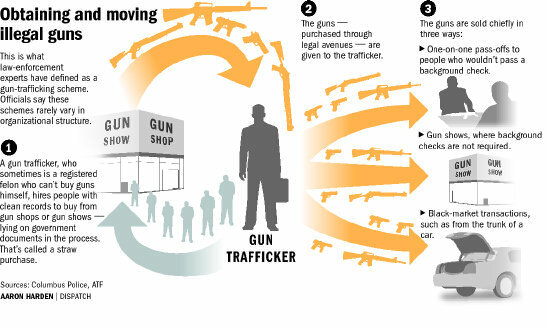 Hence, the way a background check is done on gun buyers should change. First, a gun customer fills out for 4473 at a only a licensed gun store. Second, gun retailer submits only the customer’s identifying information. Third, NICS compares that information with millions of records containing the names of people. Fourth, if the sale is approved, FORM 4473 is retained in the store’s bound book for up to 20 years. The problem on illegal possession of guns is still an existing problem nowadays. The facts that mass killings are still being reported on news channels nowadays. Hence, it is about time to become more strict in regards to the selling of these guns. Otherwise, more and more individuals will get murdered. Gun stores must coordinately closely with the authorities and follow certain protocols in order to maintain peace and order in the community. There are a lot of risks that you can face when you don’t do a background check. First, counterfeit documents and impersonation. Second, people working illegaly in your place. Third, adverse financial histories and sanctions. And fourth, it could be that the information lacks necessary skills to perform their jobs. Please see some details below as to how background check is important for us. What Does Social Media Do To Resolve Crimes? The social media can be a very useful tool in addressing the criminal activities in the society today. Here are the things it can do which helps stop crimes from happening in the society. It can identify persons of interest, identifity criminal activities, understand criminal networks, soliciting tips of crimes, identify location of criminal activity, anticipating crimes that maybe occuring. Please see infographic below for more insights related to the use of the social media today. Here are some facts, 80% of prison inmates who used guns acquired them via private transfers without checks. Also, another fact is that 87 people die every day from gun violence. As provided by law, only the federal government may perform the background checks. Ironically, the local sellers of guns don’t do the background checks anymore and that’s the loophole right there. Hence, it should be changed in order to save millions of lives around the world. 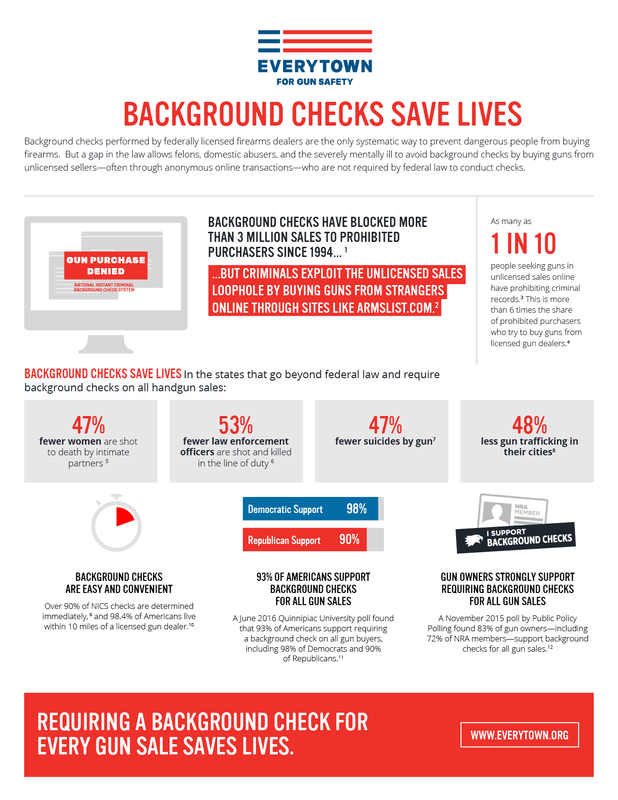 There are various ways in which background checking the protect and save the lives of many these days. In fact, these are the statistics and facts that came out today due to the active practice of background checks today. First, 47% fewer women are shot to death by intimate partners. Second, 53% few law enforcement officers are shot and killed in the line of duty. Third, 47% fewer suicides by gun. Fourth, 48% less gun trafficking in their cities. All of these because of running background checks on people. The legal documents are purposely kept so anyone can refer to it in the future for reference purposes. So here are the effects as result of running background checks today. First, 47% fewer women are shot to death by intimate partners. 53% fewer law enforcement officers are shot and killed on duty. 47% fewer suicides by gun. And 48% less gun trafficking in the cities.